Brussels, April 15th– The European Parliament votes tomorrow on the European Commission’s proposal to backload 900 million emissions permits within the EU Emissions Trading Scheme (EU ETS). This vote assumes the EU ETS can be reformed, but ahead of the vote, a new report shows that the problems of the EU ETS are systemic and unresolvable. Keeping this failed system in place would further delay real action for reducing emissions in Europe. 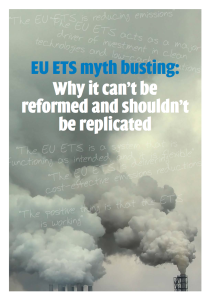 The report “EU ETS myth busting: why it can’t be reformed and shouldn’t be replicated”, has been published by several signatory organisations[i] from the “Time to scrap the ETS” declaration. It looks at a number of claims made in defence of the EU ETS and shows why they are not valid. A key myth is that is that the EU ETS has reduced greenhouse gas emissions. The slight decrease in emissions from 2008 and 2010 was in fact related to the economic crisis. There has been no real shift in the way energy is produced or used by industry. The EU ETS is incapable of triggering the transformation and regulatory actions necessary for a sustainable and just path that could be achieved through clear direct policies, explains the report. “The vote on backloading is the wrong debate. No amount of structural tinkering will get away from the fact that the EU has chosen the wrong tool to reduce emissions in Europe. It is inherently too weak to get the EU to where it needs to be in the necessary timescale. To achieve its goal of keeping the increase in global warming within two degrees centigrade, itself totally inadequate, the EU can no longer wait for the market to deliver.”, says Hannah Mowat from FERN. Another myth busted in the report is that the EU ETS is a flexible and cost-effective tool to reduce emissions. “The question is, cost effective for whom? Businesses have managed to make windfall profits by passing costs onto consumers from permits to pollute which they got free of charge. In Phase I and II this was put down to market teething problems, but seven years on, these issues remain and are getting worse”, states Belén Balanyá, from Corporate Europe Observatory. The report also pulls to pieces the idea of the EU ETS as an incentive to promote investment in cleaner energy solutions. It states that due to the massive over-allocation of permits, businesses have ensured that polluting has continued to be the cheapest option, and therefore, no noticeable investments were made in clean technologies or low-carbon solutions as a result of the ETS. “The EU must acknowledge that the ETS experiment has not worked. 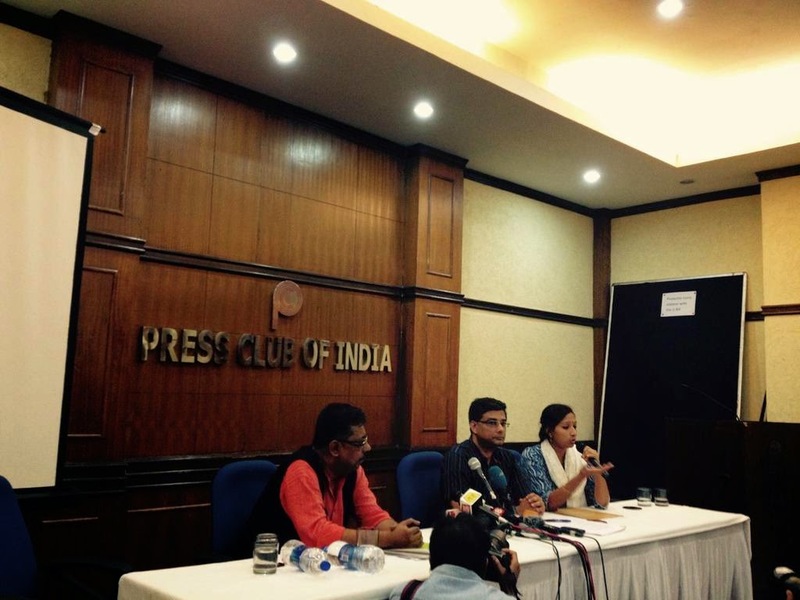 Trying to fix this scheme will in fact close the door to effective and fair climate policies. We need to replace it with real action that will bring about a just transition away from fossil fuel dependence and that leaves future generations with a fair chance of avoiding uncontrollable climate change”, says Lyda Fernanda, from Transnational Institute.